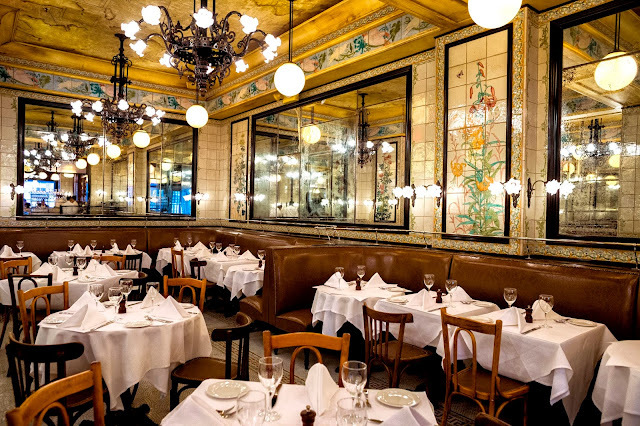 Augustine – The pretty Parisian bistro from Keith McNally sits in the Beekman Hotel, serving right-from-the Right Bank steak tartare and chicken paillard, along with steaks, burgers and a selection of rotisserie-cooked meats. Seafood includes lobster ravioli and daily specials. You might remember the old Pastis or the current Balthazar; this is an almost identical sibling. 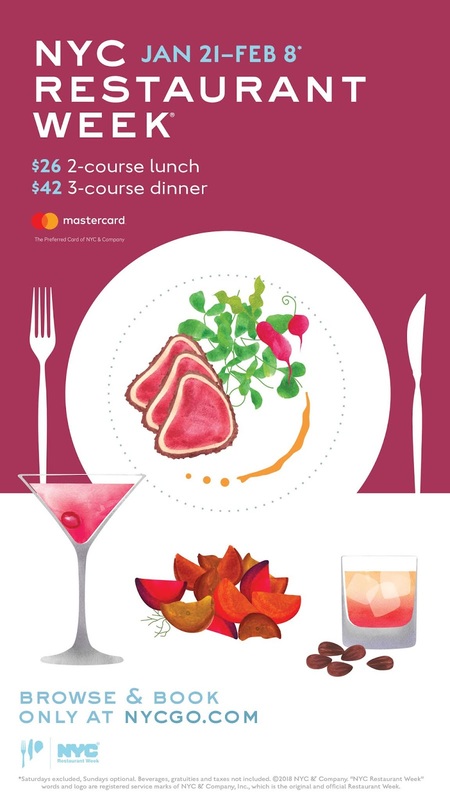 CUT by Wolfgang Puck – A steakhouse that offers much more than steakhouse, CUT is tucked behind a curtain in a corner of the Four Season Hotel downtown. Tastings of wagyu, veal chop, tuna tartare and steak tartare are all highlights, along with an extensive wine list. Le Coq Rico – If you’re mad about chicken, this Flatiron restaurant is for you. A mix of Alsatian artistry and top poultry, Le Coq Rico is all about warmth and satisfaction. You’ll enjoy the menu of chicken, squab, duck and guinea fowl sourced from the finest farms in the country. Add a glass of wine and the decadent île flottante for dessert to create the perfect meal. Legasea – It seems that just about all of my favorite restaurants are located in hotels. And here’s another. Legasea from the TAO group makes its home in the Moxy Hotel. A seafood shack done upscale, the restaurant is somewhat of a scene, a prelude to a night at the upstairs rooftop bar. Anything from Chef Jason Hall’s seafood menu is outstanding but you might have more fun with the box of fried chicken, spiced up with Mike’s hot honey, or the World’s Fair create-your-own sundae. Obao Hell’s Kitchen – This is the perfect after-work, happy hour, pre-theater go-to. Located among the many Thai and other ethnic restaurants on foodie Ninth Avenue, Obao is fun, with a varied cocktail menu and an extensive selection of Thai and Vietnamese street food. Try to book early for the best seats in the multi-level restaurant. Ortzi – Another interesting restaurant set in a hotel (LUMA Hotel), Ortzi serves up Basque dishes as only Chef Jose Garces can. Ortzi offers a menu of warm Spanish tapas including cazuelas cooked in terra cotta pots, and cold preparations like crudos and conservas, dishes using canned and preserved ingredients. Suzuki – Near the Theater District, Suzuki is a kaiseki temple helmed by Sushi Zen alum Takashi Yamamoto. The quiet, lavishly appointed room is perfect for enjoying this masterful meal, a mix of hot and cold dishes with interesting cocktail possibilities. Temple Court – Tom Colicchio pays homage to the Victorian era and classic American dishes in this beautiful restaurant in the Beekman Hotel. Dishes have classic names but have been updated. You’ll see the likes of steak Diane, pork Wellington, and Baked Alaska here. The Writing Room -- Fans of the beloved Elaine’s will feel right at home in the Writing Room in the former Elaine’s space. The menu is American comfort all the way, now including many selections of the shuttered Parlor Steakhouse. You can also sit at the adjacent bar, an equally popular Upper East Side gathering place. Vinateria – Wine lovers should book a table at Harlem’s intimate Vinateria. Set in an area area of emerging restaurants and shops, Vinateria invites you to put together a tasting menu with small plates of American specialties, paired with individual pours designed for experimentation.